Acorn Archimedes Emulator, 26-bit ARM, runs RISC OS 3 ... and games! Alpha - not ready for prime time! Zarch and Conqueror seem to work, more or less. Low-res modes for games are not yet scaled to fit the screen. Sound is not enabled yet. For your info, there are several ways to run RISC OS on Pandora. Why not try all of them? 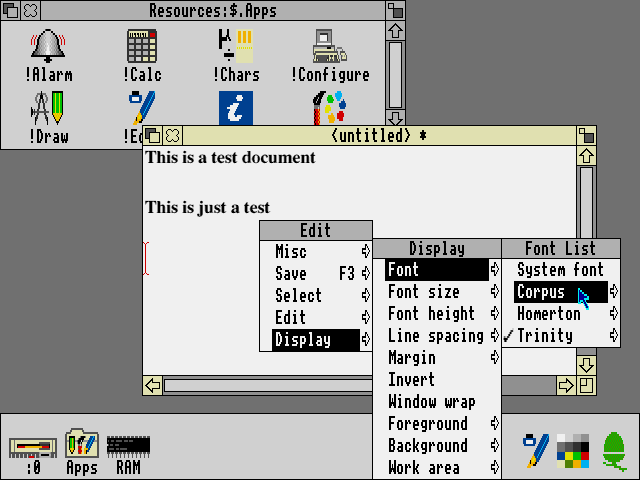 - native RISC OS can also run ArcEm. It's included with the image, can play old Archimedes games. 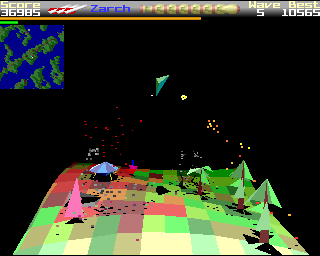 - ArcEm for Pandora - this package, can play old Archimedes games, has some issues! 2-/5. A half baked emulator at best. No audio and no control mapping. I am still trying to figure out how to enlarge the window for these games. How can this be a final release? This is a prick teaser.